Halter Jeweled Neckline Long Prom Dress | Sung Boutique L.A. 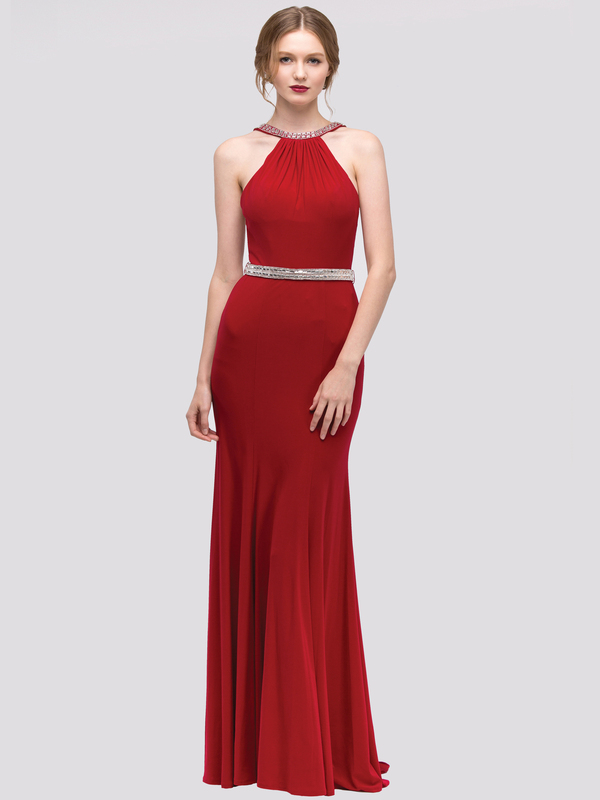 This simple and chic dress features bejeweled trim detailed the halter neck, the waist, and the open back. Elegant floor length skirt with light train completed the style. -100% Jersey. - Approx. length 58"